Tea infused scones are a fun and easy addition to your afternoon tea. This is an easy way to serve something traditional but to put your own spin on it. 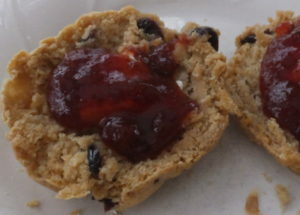 The recipe below is a British scone recipe, not an American recipe. The difference between the two is very striking. British scones are built to add condiments like butter, clotted cream, and jam. So they do not have sugar in them and a much smaller amount of butter. American scones are built to be eaten as is and so they have sugar and more butter than British scones. 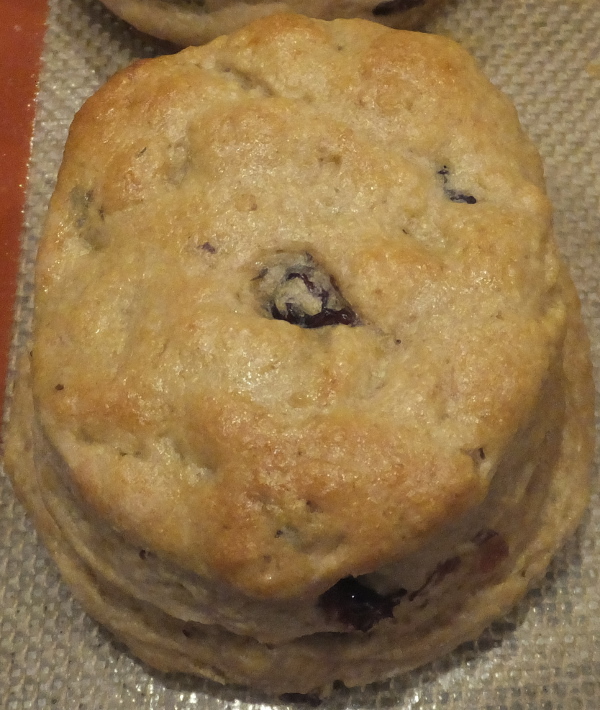 The British scone recipe also lends itself to the creation of a savory scone that includes cheese and garlic, which I have given directions on how to add at the bottom. Scones are best prepared just before you want to eat them as they are meant to be eaten right out of the oven. If you must make them in advance, you should reheat them before serving. I have made a few notes below on which ingredients you can prepare in advance so your scones come together quickly when you want them. For savory scones, substitute the dried fruit with a 1/3 cup of sharp cheddar cheese. 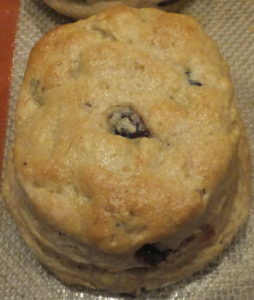 This step can be made ahead and stored in the refrigerator until you are ready to make scones. Put the milk and 3 tablespoons of the tea on the stove top and bring the milk up to just below boiling. Remove from heat and allow the milk to steep for 10 minutes. Strain and return to the refrigerator to cool down. You can also prepare tea infused butter to use in this recipe. Set your oven to 425°F. Pull out a baking sheet and make sure it is lightly greased or line with a piece of parchment paper that is lightly greased. Bring the 1/2 cup of water to a boil and put in 1 tablespoon of Summer on Cape Cod tisane and allow to steep for 10 minutes. Strain and allow the 1/3 cup of cranberries to soak in the liquid while you are preparing the dough. In a large bowl mix together the flour, salt, baking soda and cream of tartar. Cut the 6 tablespoons of butter into small cubes and by hand pinch them into the flour. Keep doing this until all the flour looks a little shiny. It may seem that there is not enough butter to cover everything. However there is, so keep working until all the flour is coated. It will look like wet sand when you are done. Pour in 1 1/3 cups of the tea infused milk all at once and stir briefly. You are looking for everything to stick together. Do not stir a lot as you will lose the bubbles caused by the baking soda and cream of tartar. It should create a sticky dough. Turn out the dough onto a floured surface. Flour the rolling pin and roll out the dough to 1 inch thick. This will not take long if everything is properly floured. Flour a 2 1/2 inch biscuit cutter. If you do not have one, measure the diameter of a drink glass made of glass and flour the rim of the glass to use as a cutter. You should be able to stamp out 10 scones before re-rolling to get the last couple. You should get between 10-12 scones. Place the scones on the baking sheet and brush the top of the scones with the egg wash. This ensures that golden brown color. Bake the scones for 10 minutes in the oven. Pull them out and serve. Our clotted cream recipe is a great addition.